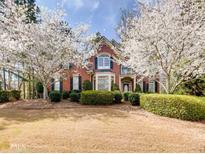 Below you can view all the homes for sale in the Vinings Estates subdivision located in Mableton Georgia. Listings in Vinings Estates are updated daily from data we receive from the Atlanta multiple listing service. Located In A Friendly Swim And Tennis Community Only Twenty Minutes From Downtown Atlanta! MLS#6527052. Southern Classic Realtors. Large Entertainment Deck, Private Backyard W/ Landscape Lighting & Enhanced Security System W/ Cameras. 3 Car Garage MLS#6523234. Compass. Upstairs Has 3 Nice Sized Bedrooms W/Jack & Jill Bath.Special Terrace Level Features Bar Area, Game Room, Bedroom, Bath, Media Room, & Fitness Room.Great Community W/Resort Style Amenities! MLS#6522385. Keller Williams Realty Cityside. Large Unfinished Basement. Nice Private Wooded Backyard MLS#6521814. Keller Williams Realty Cityside. Full, Finished Terrace Level W/Office/Bedroom, Full Bath, Media Room, W/O Room & Tons Of Storage MLS#6518162. Beacham And Company Realtors. Backyard Oasis Includes 1/2 Acre Of Large Old Growth Trees, Professionally Stone Landscaped, 2 Patio Areas & Spacious Deck Just Ready For Your Summer To Begin MLS#6515946. Bhgre Metro Brokers. Fantastic Amenities: 3 Pools, 2 Clubhouses, Tennis, Basketball, Playground. Below Recent Appraisal! MLS#6509138. Beacham And Company Realtors. Huge Bonus Room Upstairs W/French Doors, Built-In Shelving, And Could Be Media, Recreation Room, Or 5Th Bedroom. MLS#6505908. Berkshire Hathaway Homeservices Georgia Properties. Awesome Comm Amenities -Pool, Water Park, Clubhouse, Multiple Ten Courts, Playground. MLS#6502971. Harry Norman Realtors. 4 Sides Brick. 3 Car Garage. MLS#6113646. Beacham And Company Realtors. Terrace Level Bed/Bath W/Kitchen & Appliances, Media/Game rooms, Separate Outdoor Entrance, Custom Office And A 3 Car Garage! MLS#6106577. Keller Williams Realty Atl Perimeter. Don’T Miss Out, Contact Your Local Agent To Schedule Your Viewing And Make An Offer Today! MLS#6043220. Owners.Com.